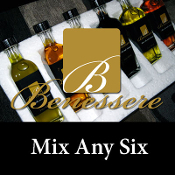 Mix Any Six - Choose (6) 2 oz products*. Includes shipping within United States. *Truffle oils available for additional cost. 1) Choose Mix Any Six product. 4) Add to cart and continue shopping or check out.